I would like to tell you a story, a story of faith, of hope and of love. It is the story of the beginning of the Presbyterian Church of Russia. It is a story that starts in Korea, but ends in Moscow. It is a story that begins in anguished prayers for healing and a sense of unfulfilled promises and ends with joyous prayers of blessing and a “crown of righteousness” for one who has “fought a good fight, finished his course, and has kept the faith” (cf. Second Timothy 4:6-8). I tell this story very much “second hand” and even “third hand,” and with the added disability of having to deal with both a language and cultural barrier throughout its telling. I have no doubt gotten some of this mixed up, for which I apologize. I was told or overheard most of this story from Rev. James Kim, an American pastor in the same denomination in which I serve, the Presbyterian Church (USA). James serves at the Trinity Presbyterian Church in Colony, Texas, and we met last fall in the Midwest Wee Kirk conference held in Indiana, near the congregation where I serve as pastor. Wee Kirk conferences are a ministry of the Presbyterians For Renewal, one of the many renewal groups operating within the Presbyterian Church (USA). James was one of the speakers last fall, and I got a chance to meet him then as well as drive him to the airport for his flight home. He subsequently asked if I’d be interested in assisting in a Korean Presbyterian Church mission to Russia, and I was delighted to accept his offer. However, none of the above mentioned ministers…James, Harry or Joan…bear any responsibility for any of my mistakes in the retelling of this story below. They know this story better than I do, and can no doubt add to this story, which I highly encourage by the way. It is a story that must be told, and I am happy to begin the process of putting down what I know of it for your prayerful consideration here. May God speak to you through this story, not only in ways that might directly impact the Presbyterian Church of Russia for the good, but in terms of many other mission opportunities that may lie dormant in our hearts and need only to be set aflame by such a noble example hope and joy in the gospel as I experienced in learning about Elder Lee’s life and ministry. That is my prayer! Elder Lee is a Korean businessman who had a remarkable recommitment of his life to Jesus Christ late in life. As a young man he had committed his life to Christ during an evangelistic campaign in Korea. At that time the evangelist had challenged all of the converts to win 100,000 souls to Christ during their lifetime. That alone speaks volumes for how passionate the Korean faith is! If you want to know the source of the Korean Presbyterian Church’s power, it is in this kind of faith-filled, passionate gospel vision! They are some of the most intense people you will meet on planet earth! Anyway, that was the evangelistic challenge Elder Lee heard that day as a youth. He thought to himself that the number 100,000 might be a little high, so he pledged that he would win 10,000 to Christ in his lifetime. And with that, he proceeded into life as a devout Christian, eventually becoming a very successful businessman. I do not know the type of business he was involved in, but I believe it was in some form of manufacturing. Anyway, we skip along now to a time in the late 1980’s when Elder Lee’s wife was gravely ill. As Elder Lee prayed for his dear wife’s recovery, he remembered his pledge from his youth to win 10,000 souls to Christ. He asked for forgiveness for having not fulfilled his pledge and vowed to spend the remainder of his days making good on that pledge. His wife recovered from her illness and Elder Lee explained to her his commitment to win 10,000 souls to Christ. They decided upon the following plan. Elder Lee would sell his business and take the proceeds of that sale and invest it in two (2) buildings in Moscow, Russia. 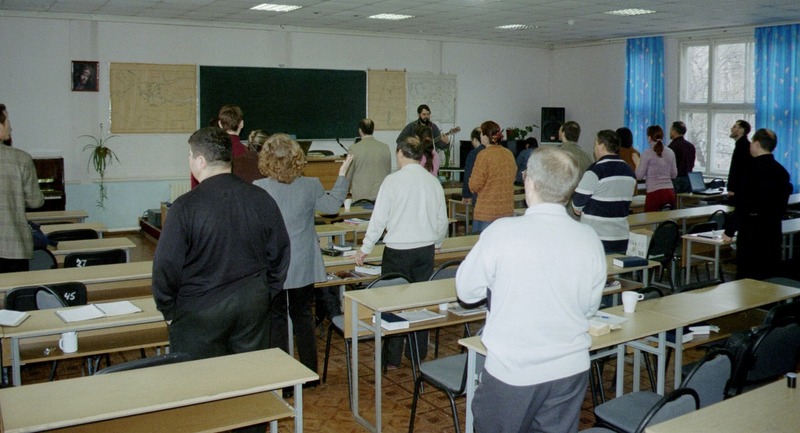 Russia had just recently opened up culturally and politically to the open presence of Christian missionary activity, and Elder Lee surmised that the need of the day was for Christian education for young evangelical Russian pastors who had been ministering during the communist era in underground churches. Believing that it would be costly and time consuming for Koreans to equip missionaries for Russia who could speak Russian, and believing that it would be less effective to try to evangelize Russians with Koreans than with Russians themselves, Elder Lee conceived of the plan of establishing a seminary in Moscow with his money, and then inviting Russian Christians to come and be trained to preach the gospel to the Russian people. Elder Lee would bring together the two (2) worlds in which he had so successfully functioned his entire life. He would rely upon his connections within the South Korean Presbyterian Church in which he had faithfully served as an elder throughout his adult life, and he would import teachers from South Korean seminaries to teach in his Russian seminary. And he would provide translators for these teachers so the Russian students could understand their teachings from his connections within the Korean business community in Russia. In the early 1990’s Elder Lee put his plan into action. He bought two (2) large buildings in Moscow, Russia. The first building was to be used as a school and as living quarters for Elder Lee and the transient faculty who would come to teach. The second building was to be used as a dormitory for the students. Both buildings required, and still require, renovations to be ideal for their intended use. But once they were minimally functional, Elder Lee began his mission to evangelize and train Russian pastors. Elder Lee implemented his plan as follows. You may find this humorous, but it is in just such faith-filled “foolishness” that the gospel does its best work I think! He went around handing out flyers to any Christians he could find advertising his school. He visited area churches as he learned of their existence, but otherwise just passed them out on the street. Can you imagine this? Here is a South Korean businessman who speaks little to no Russian, passing out leaflets about a seminary to train Russian Christians to become pastors. It is an odd image to conjure up, no? Though it is something of an open question as to who found who, eventually Russian Christians in Moscow heard about Elder Lee’s proposal and decided to check him out. Here’s the proposal Elder Lee had in mind. He would provide free housing for the students at his dormitory and provide a monthly stipend for living expenses of $150 a month during the two (2) or three (3) years the students were attending his seminary classes. This was critical since the students had to prove that they had a place of residence and a source of income to get permission to relocate to Moscow. Once they had graduated from his seminary, they would be challenged to go out and start a church through a tent-making ministry of their own. But if they could gather sixty (60) Christians together into their new congregation, individual congregations of the South Korean Presbyterian Church would partner with them to buy them their land and/or buildings for their new Presbyterian Church. Elder Lee has trained over 400 students during the past twelve years in his seminary, and while not all of them became Presbyterians they all have a genuine respect for the Presbyterian Church because of their training in Elder Lee’s seminary. But, as to the number of Presbyterian Churches that have begun, there are 116 Presbyterian congregations right now throughout Russia as a result of Elder Lee’s mission. 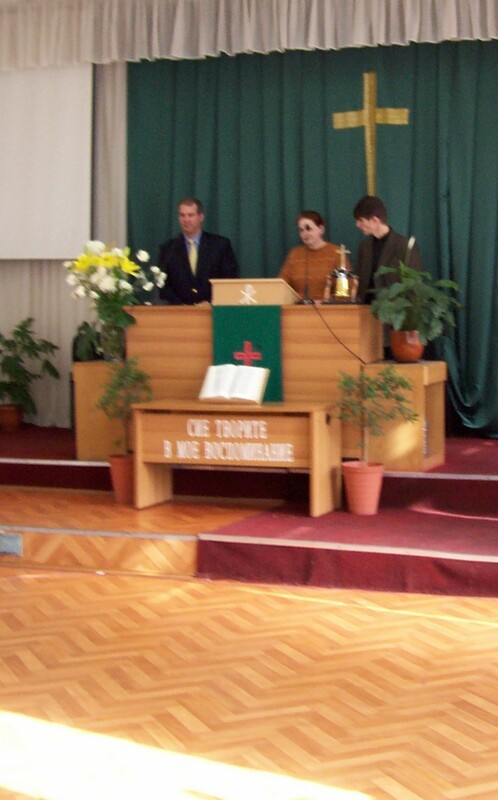 The average size of the congregations are between 80 to 100 members, but the largest Presbyterian Church in Russia has over 900 members. While Diane and I were there during the two (2) weeks this March in which I was helping to teach at the seminary, a group of about a dozen South Koreans were also visiting so that they could commission another new congregation in Russia with a new building. Currently there are about twenty (20) students taking classes in the seminary, and we participated in a prayer of commissioning for about six (6) of these following our classes in March. 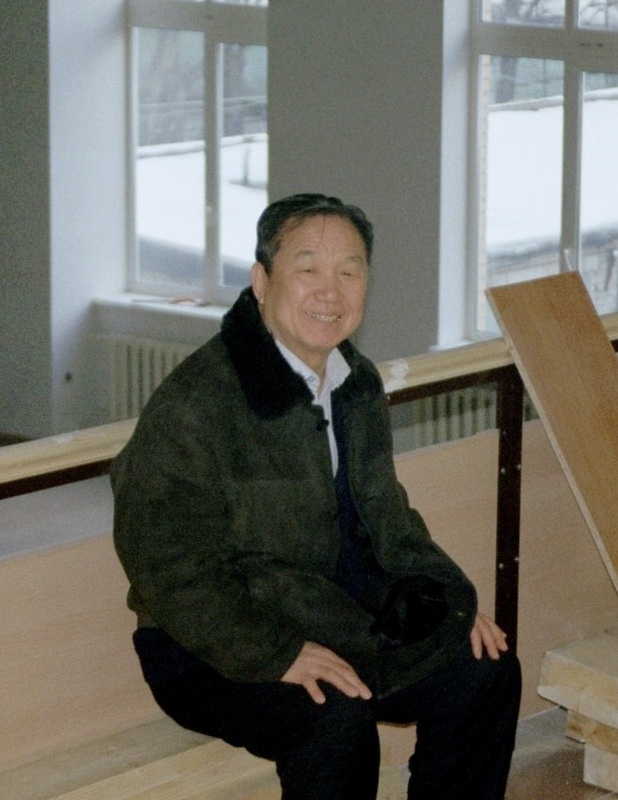 Also currently, Elder Lee has purchased an old factory building in Moscow and is hoping to complete the rehabilitation of this building by the fall of 2007 so that this new building can serve as headquarters for the seminary classes, but also serve as a medical/dental clinic and also as the site for a church. We were able to tour the building in its unfinished state, and it is going to be very nice when completed, much nicer than the rather drab building currently being used for the seminary classes. It has cost approximately two million dollars ($2,000,000) for this new seminary building to be purchased and rehabilitated to date. That is some measure of the kind of commitment and tangible investment that Elder Lee and the South Korean Presbyterian Church has made to ensure the future training of evangelical Presbyterians for Russia. But that’s not all Elder Lee has been up to in Russia over the past fifteen or so years. About a decade ago, Elder Lee approached the Russian military headquartered in Moscow and asked if he couldn’t provide a bible study for the Russian military officers in training there. Naturally, they asked why and what the “hook” was. Elder Lee explained that he saw in the Russian military officers the future leaders of Russia, and he wanted them to be acquainted first-hand with his ministry so that they would better understand and appreciate his Christian mission. Without any strings attached and expecting no special favors, Elder Lee simply wanted these men to know more about his work, and to help make this gesture even more hospitable for these officers, Elder Lee would help supplement their incomes by providing a monthly stipend of financial support for any officers willing to take him up on his invitation. Well, that seemed accommodating enough and the Russian military officers began coming to Elder Lee’s bible studies each Monday, Tuesday and Thursday evenings. Elder Lee’s bible studies would begin at 7:00 pm, break for a dinner which Elder Lee would supply for them at about 7:45 pm, and then reconvene at about 8:15 pm and conclude at 9:00 pm. Again, I don’t know how many Russian military officers have attended over the years, but I do know that on the wall at the seminary is a poster with photographs of about 100 Russian military officers who have confessed Jesus Christ as their Lord and Savior as a result of Elder Lee’s bible study through the years. There are about twenty (20) officers currently in attendance, of which about six (6) are confessing Christians. harvest and success for the gospel that is analogous to Paul’s ministry with the Praetorian guard while he was under house arrest in Rome (cf. Philippians 1:12-13). Again, these are some of the most educated and influential people in Russia, and so I can only imagine how important this outreach is and will prove to be to the gospel in years to come. Finally, it should not go unnoticed that Christianity in Russia has been largely brokered by the Russian Orthodox Church throughout the centuries, and this is true today as well, though things are opening up somewhat as a result of Perestroika and the like since the early 1990’s. But the Russian Orthodox Church has been scandalized for the most part by the various mission activities occurring in Russia recently, and is now asking for government officials to help crack down on this. You should know that a great number of cults and other questionable movements have come to Russia and are creating problems for everyone trying to do good works among the Russian people. Elder Lee has had his problems with government officials over the years too. And yet he has been able to purchase properties, expand his mission, and win the support of the Russian military officers. 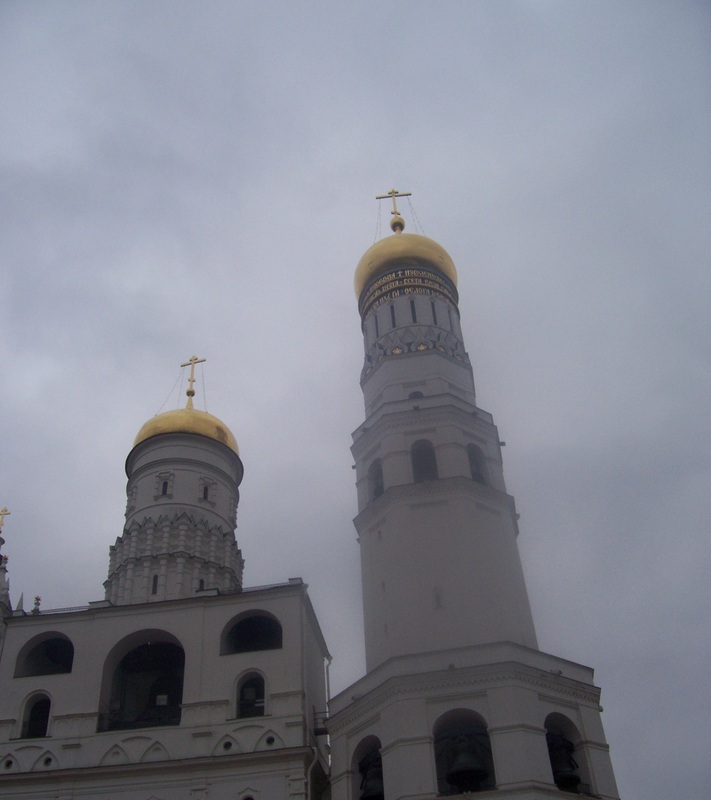 Most recently, Elder Lee has been approached by the Russian Orthodox Church and has been requested to help them train their priests to be more effective in evangelistic outreach. This is a major step in both ecumenical as well as political validation of Elder Lee’s ministry in Russia. With this kind validation through a partnership in ministry education with the Russian Orthodox Church, the future looks much more promising for this mission. However, you should also know this. Elder Lee’s health, along with his wife’s, is failing. In fact, both are so compromised by their health concerns that neither can travel again and both anticipate dying in Moscow in the near future. Elder Lee has had a series of heart attacks in the past year, and his wife is bedfast for the most part as well. Complicating this further, you should also know that Elder Lee is, like all entrepreneurial leaders and visionaries, difficult to work under. He has had his share of power struggles with his seminary staff. He employs a seminary president to oversee the curriculum and training, but Elder Lee obviously has a hand in it all. To say, for instance, to a seminary president, “I’m going to have some Americans come over and teach for a couple of weeks in March, so just plan around it,” no doubt could be viewed as an interference with and/ or an encroachment upon the course planning of the seminary president. is clearly a need for a stable transition to new leadership in the very near future. The board of directors of the seminary, of which I believe Rev. James Kim is a member, is well aware of this need and is showing restraint and honorable deference at this time to Elder Lee in light of their respect both for his visionary leadership to date and his genuine passion to fulfill his felt calling from God through this mission to the Russian people. So, you run the numbers. What does it look like to you? Has Elder Lee fulfilled his vow to convert 10,000 souls to Christ during his lifetime? I think so! There are well over 10,000 Christians worshipping in Presbyterian congregations in Russia due to the faith, hope and love of Elder Lee. But the question remains, “What about the future?” I believe Elder Lee’s daughter and son-in-law are living with them currently and assisting in the running of the seminary, but I am not sure exactly who all is residential there. I met the seminary president, but he was mostly with the Korean party and I was with the Russian seminary students. So, how these next years play out is anyone’s guess. I would expect the new seminary building to be completed within Elder Lee’s lifetime and commissioned as his final legacy of love to the Russian people this fall. Given the number of congregations currently in play as an outgrowth of this mission, it appears past time for there to be a formalizing of the existence of The Presbyterian Church of Russia. This need not result, however, in autonomy from South Korean support, both financially or in terms of ministerial training and oversight. But such autonomy can be envisioned as the future result of such a step, even if it takes several years to lay a secure foundation for this transition. This is not so different from how the Scottish Presbyterian Church eventually let Presbyterianism take shape in America. It took awhile for the organizational structures to catch up with the new life that was beginning to sprout. The first Presbyterian congregation was formed in 1640 on Long Island, and the first presbytery wasn’t formed until 1706 in Philadelphia, and the first General Assembly wasn’t held until 1789. So, these things take time to evolve. We see this pattern in the New Testament as well. What began as charismatic gifts and experiences of ministry eventually became discernable offices of ministry. The charismatic gifts evidenced in the early chapters of the Acts of the Apostles eventually become organized into pastoral gifts and offices in the Pastoral Epistles such as First Timothy and Titus. There’s no less Spirit of God involved, no less sense of gift or calling involved, but there is clearly an evolving form of the Church as a truth preservation society taking shape in the world for the long haul of history that now requires that the Church organize herself for this purpose with prudent intentionality. Anyway, in keeping with this goal is the training of Russian pastors to lead this seminary themselves in the future rather than importing South Koreans or Americans to teach there. 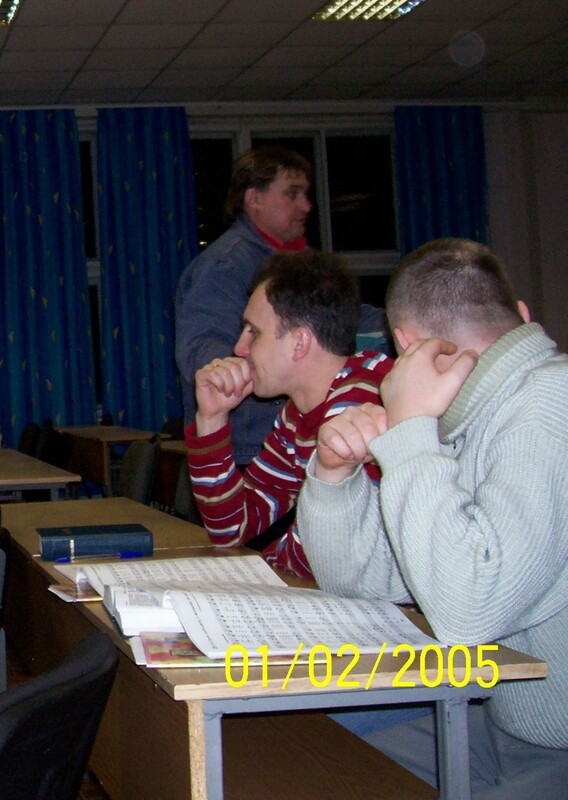 I can easily see a small number of the current Russian pastors who are judged to be best qualified and called to such service given a more extensive private tutoring at the seminary for purposes of becoming its future resident faculty. I would not recommend sending Russian pastors away for advanced studies in America, or even in South Korea for that matter. I think Elder Lee’s vision of training Russian Christians in Russia ought to continue at this next level also. The Moscow Presbyterian Seminary can award advanced degrees on its own. It can assemble its faculty on its own. It can plan its course work by itself. It has all it needs to take this next step in Russia itself. I have lots of other thoughts on what makes for a good seminary in Russia given what I’ve seen to date, but I will spare you that here. But I would highly encourage the seminary board to continue its practice of “cherry picking” its faculty from abroad and “cherry picking” those pastors they will train for future leadership, pastors who remain all the while active in their congregational ministries while continuing their education. OK, enough of my advice. But can we not all shout “AMEN” to this remarkable story of mission?! In all of the above, we can see the power of the gospel, can we not? In all of the above, we can see the wisdom of the gospel, can we not? It is a power and a wisdom that appears foolish from any analysis based upon worldly standards of power or wisdom, but it is by means of just this kind of foolishness that God has ordained the gospel be spread in the world (cf. 1 Corinthians 1:18f.). I commend him for his sacrificial love and dedication to the gospel. I commend him for his strategy of establishing a mission to train Russian Christians in Russia so that they can lead their own Russian congregations. I commend him for his partnering these new congregations with congregations in the South Korean Presbyterian Church. I commend him for his strategic outreach to the Russian military and the Russian Orthodox Church. I know that Elder Lee is soon going to be with the Lord. I know that the success of this mission has largely been brokered by the Spirit of God through him. I know he leaves big shoes to fill. But so did the apostles! How would you have liked to be Timothy, or Titus, or Silas? Reread the Pastoral Epistles in that light! So, Elder Lee’s leadership for this mission to Russia looks very similar to the pattern that evolved in the apostolic era of the Church in which major sites of apostolic Christian mission began to sponsor missionary activity, leading to the formation of congregations that would ultimately look to the Jerusalem Council for resolution on difficult issues that arose in ministry, such as the divisive question of incorporating Gentiles on equal footing with Jews in the early Church (cf. Acts 15). The Presbyterian Church of Russia is evolving similarly. Elder Lee is functioning very much as “the bishop” at this point, exercising considerable influence over the training and development of Russian pastors. But this shepherding function will naturally be handed over to a corporate body, namely the board of directors of the Moscow Presbyterian Seminary, and eventually, soon perhaps, it will link up vitally with a newly formed Presbyterian Church of Russia with its several new presbyteries throughout Russia. In fact, Elder Lee is doing exactly what Jean Calvin did in Geneva. He furthered the reformation in Europe by training pastors. His teaching and work of reformation in Geneva brought students to him from all over Europe, including John Knox from Scotland. Thus, working from a comparatively small stage, Calvin influenced the world. God is doing a marvelous work in Russia by virtue of the faith, hope and love that the Spirit of God has raised up in the Korean Presbyterian Church, Elder Lee in particular. This is a story that needs to be told, and a story in which we can also share with what God has given us as God leads us in mission together. If not us, who? If not now, when?